Color of the Month JULY! It’s almost impossible to think that it’s already July! The last couple week of June just flew by with busyness, cottage time, and work. I’m extra excited this year about the 4th of July, although I don’t think I’ll be at the cottage which hasn’t happened too many times in my life. However, one of my very best friends will be in town from Seattle and I can’t wait to hang out with her! Yay! So, appropriately the colors of the month for this July happens to be red, white, and blue! 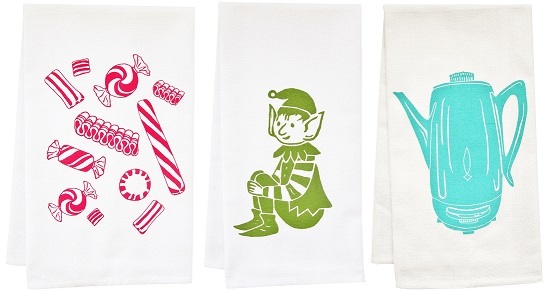 fave vintage items: star swanky swigs of course! 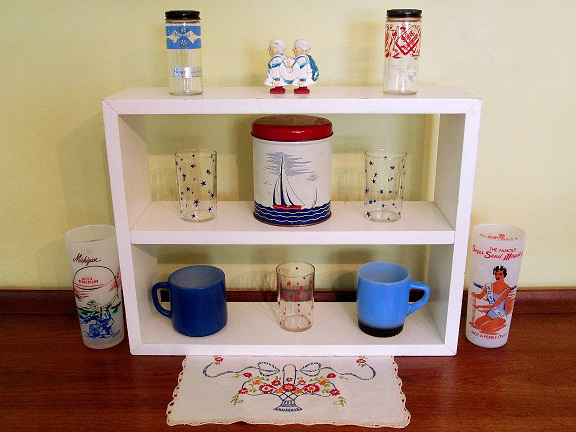 sailor ramp walker, Kroger spice bottles, 40s sailboat canister, milk glass mugs, awesome hard to find Michigan souvenir glasses, and a sweet embroidered doily. 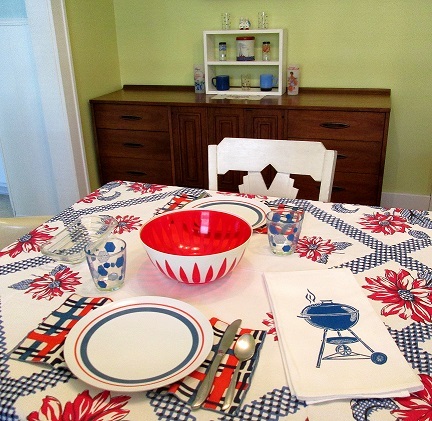 Fave vintage: tablecloth, bold napkins, melmac plates, hexagon pattern glasses, mod bowl, and of course an artgoodies grill towel is the perfect thing for the holiday!